Had the chance to use the HTC Panda today. As you would see in the picture above taken from PDADB, it resembles its predecessors, the HTC Alpine (aka O2 Xda IIi) and its grandfather, the HTC Himalaya (aka O2 Xda II). 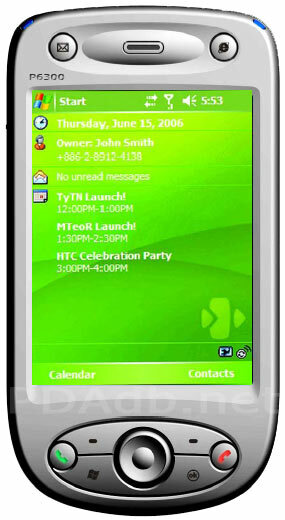 There’s a difference though in the layout of the call buttons, soft keys, and Dpad compared to the 2 earlier HTC models. Specs of the Panda that left me impressed are the memory and processor: 256 MB ROM, 128MB RAM, and a 400 MHz Samsung processor. Looking at the Memory section made my eyes pop as I couldn’t believe what I saw – more memory on the Storage and Program memory! And the battery lasted for more than 2 days on normal use even with a fast processor! What I also like with the Panda is its SD expansion slot, a rare find among the newest PDA Phone models. I might get the chance to play with it next week for some testing.